A professional facial can help everyone look and feel more beautiful, which is why SSK Plastic Surgery is pleased to offer Newport Beach, CA women and men the advanced HydraFacial. This is a state-of-the-art system that assists in providing medical-grade facials that improve the tone and health of your skin by customizing your treatment. Whether you are concerned about signs of aging, clogged pores, rough skin texture, or dry spots, board-certified plastic surgeon Dr. Sean Kelishadi and his skilled team at SSK Plastic Surgery will determine a custom HydraFacial plan based on your skin type that addresses your needs and concerns. 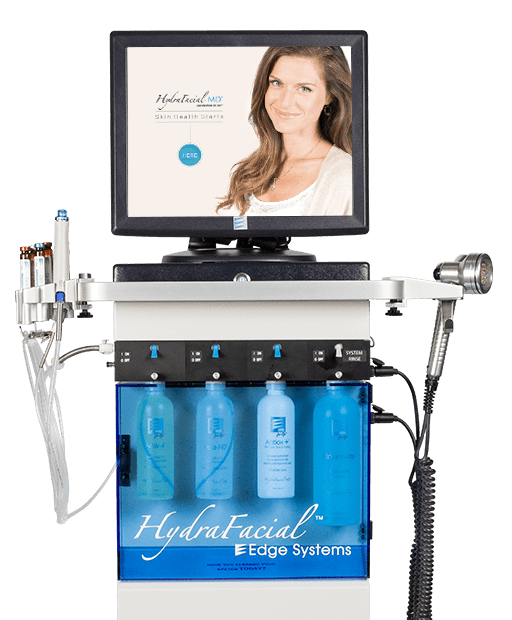 Schedule an appointment to find out more about the HydraFacial system and other services to keep you looking fresh and healthy. HydraFacials are performed in our office in about 30 minutes. The facial will begin with a thorough consultation to select the best products and options for your facial. As soon as your plan is complete, you will be invited to relax in a private room as your procedure begins. HydraFacials include six main steps: cleansing, exfoliation, pore extraction, hydration, adding nourishment, and protection for your skin. These steps are customized to the needs of your complexion by using the appropriate cleansers, level of exfoliation, moisturizers, serums, and other products. HydraFacials can also be further personalized with another complementary facial treatment available at our office. If needed, you may reapply makeup following your treatment to cover mild redness before you resume your daily activities. You will likely have visible improvements to your complexion immediately after your procedure, with full results visible in 3 – 7 days. To sustain the benefits of your treatment, Dr. Kelishadi recommends getting these treatments every 4 – 6 weeks. During your consultation, we can help you schedule future treatments and discuss products that may be used at home to best maintain your complexion in between HydraFacial treatments. With a wide variety of facial treatments and products on the market, it may seem impossible to figure out which is best for your needs. A professional HydraFacial lets you control the techniques that are part of your facial, changing as needed to finesse your skin care. At SSK Plastic Surgery, we focus on providing personalized treatment to each of our valued patients. If you are ready for your next facial and you want to learn more about HydraFacials, contact our office in Newport Beach, CA.